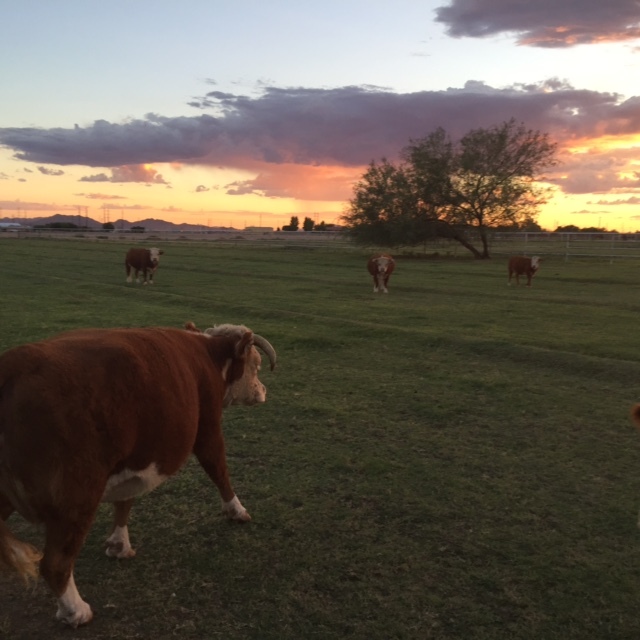 We are a small hobby farm located in Buckeye, AZ, which is about 30 miles west of Phoenix. 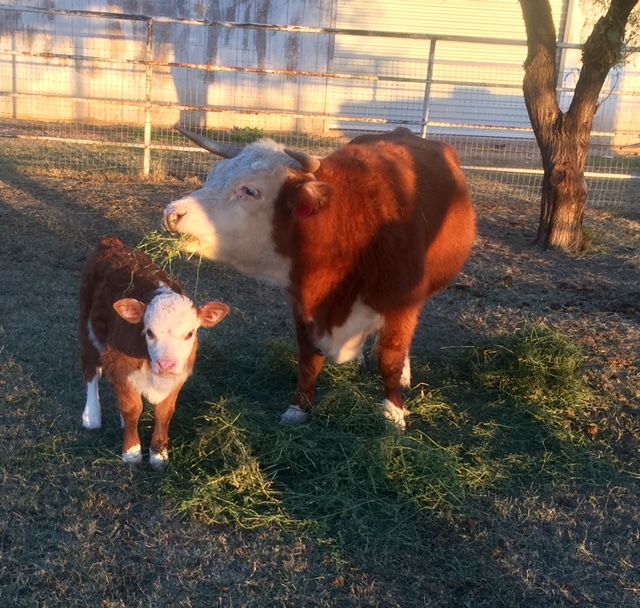 In 2012 we purchase 6 miniature Hereford heifers from the Largent family in Fort Davis, TX. We kept the best 3 to start our breeding program. We fell in love with the Miniature Hereford breed mainly because of their smaller size and their docile disposition. Our pastures are limited in size so the mini Hereford breed works great for us. 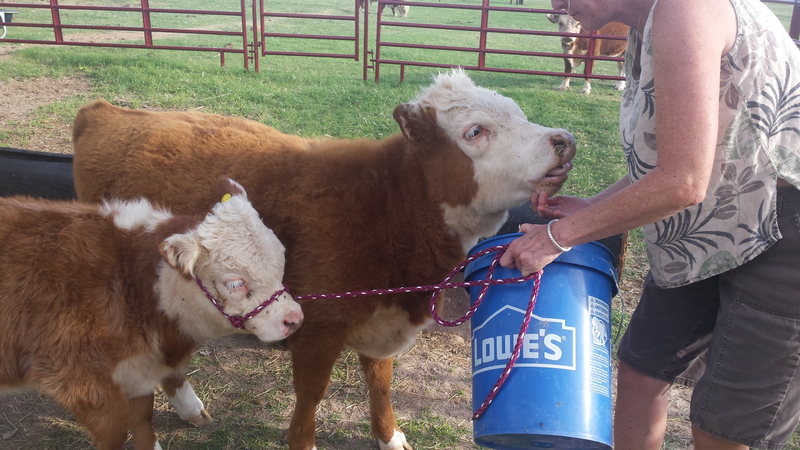 Miniature Hereford cattle are not just another novelty breed. They are naturally quiet-tempered, easy animals to raise, and they are an extremely efficient animal that produces a high quality meat product. Mini Herefords consume about 1/3 the amount of feed as does a regular size beef cow. Where you would normally stock 6 Hereford cows you can run 10 Miniature Herefords. Through the use of today’s technology and the previous generations wisdom, our registered program is moving into the future . 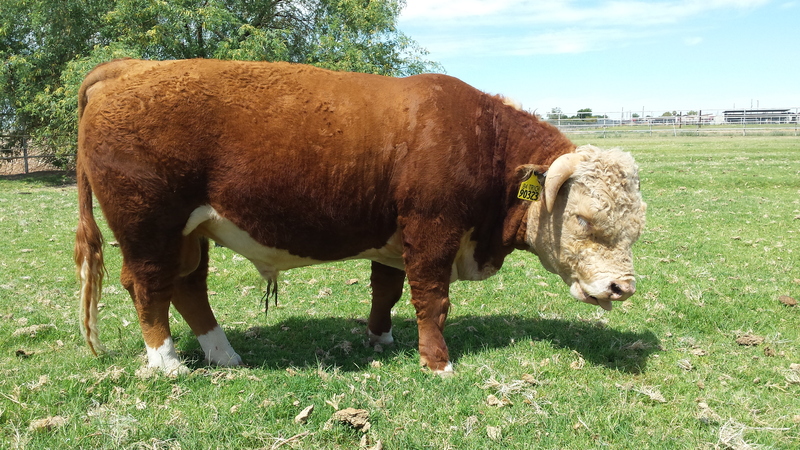 We are breeding Miniature Herefords that enhance the traits of the breed. We are maintaining muscle, volume, udder quality and performance. In order to create the miniature Hereford for the future, we are identifying the qualities from within our herd that will help us in our goal to produce ideal Miniature Herefords for the hobby farm. We do not bred for quantity, we bred for Quality! We occasionally have stock for sale. Dino.. received his bachelors degree from Eastern New Mexico University in Agricultural Business , and has worked as a firefighter for over 30 years. Jane.. grew up on a cattle ranch in New Mexico that her family has owned since the 1800, she now works with special needs children.